Are you aware of all of the services that are provided by our Boulder City Police Volunteers? We got a chance to hear from them one day, and thought we’d share all of that info with you. Here’s a list of what they do. Patrolling the city, in uniform, in a marked “Volunteer” vehicle and on foot to serve as the “eyes and ears” of the Police Department. Volunteers would work in pairs and report any suspicious conduct to law enforcement. YANA is a FREE service coordinated by Police Department’s Volunteers who make regular contact with YANA participants both by phone and with home visits. The mission of the program is to promote peace of mind and security for Boulder City’s older adults living alone and their families. YANA is an excellent resource for seniors who enjoy living independently but do not have friends or family available to regularly check in on them. Neighborhood Speed Watch is a public awareness program in which volunteers take an active role in solving the problem of speeders in our community. 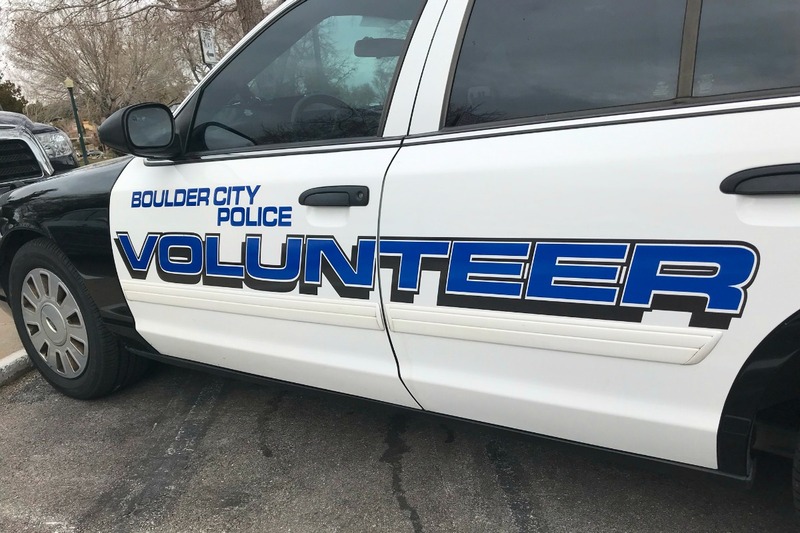 Boulder City Police Department volunteers will record speeds and license numbers of cars traveling in excess of speed designations on neighborhood streets. A courtesy letter is then sent from the Boulder City Police Department to the registered owners of those vehicles. Often, drivers who speed through neighborhoods are unaware of the effect their actions have on the peace and safety of neighborhood streets. Notification encourages drivers to slow down. Volunteers assigned to this program will routinely contact businesses throughout the city to maintain and update their emergency contact information for the police/fire dispatch center. Volunteers participating in this program shall conduct physical inspections of residences of residents participating in the Vacation Home Check Program. Volunteers conduct physical checks of the exterior of the home for unlocked doors, open windows or anything else out of the ordinary and/or suspicious. Volunteers will conduct patrols and identify traffic hazards such as non-functioning overhead street lights/traffic control lights/warning lights, obstructed street signs, intersection sight obstructions, missing manhole covers, roadway surface holes (pot­ holes) and other related traffic safety checks. Patrick Richardson, who is the Police Support Aide that coordinates all of these volunteer efforts tells us they currently have 27 volunteers, 19 of whom were hired last year. He says they are always taking applications. Those interested should contact him at 702-589-9603 (Prichardson@bcnv.org) or pick up an application at the Boulder City Police Department, 1005 Arizona St.